Dig deep guys—it's time for the Book Fair for Ballou High School! UPDATED 11/28/2014: Powells Books is running a 20% + free shipping sale through December 1st. We have opened up the Ballou Wish List again so folks might take advantage of this amazing deal and send a book (or 2!) to DC. Just type in "SWEETDEAL" when checking out (the last step, when you type in your credit card info - you will see a place to enter a coupon or gift card code). Your final total will then reflect 20% off all of your purchases (including sale prices) and free shipping. Please see all details for ordering below or jump right to the list! WELCOME BACK TO THE BOOK FAIR FOR BALLOU! As our regular readers know, Guys Lit Wire annually teams up with Ballou Senior High School librarian Melissa Jackson to host a book fair for this Washington DC high school. Ballou has some big changes on the horizon—a brand new school will be opening in January. This is long overdue (the original school was built in the 1950s) and we are very excited for the Ballou students, teachers and staff. But...even though we were hoping that with the new school and new library/media center there would be an increased budget for books, (and that's what we thought was happening a few months ago), it turns out that is simply not the case. Students tend to arrive at Ballou years behind grade level; by 10th grade, about one in five are proficient in reading and math, according to city tests. Fewer than half of students graduate on time and more than 60 percent are considered chronically truant. Like far too many kids in America, the students at Ballou have some very real struggles. For them a library full of books is not just a treat and a pleasure but a necessity. It's a refuge in the best sense of the word, and we feel that everything we can do to make it a more empowering place is time & money well spent. We've got all kinds of great books for Ballou on the Powells Books wish list and we do hope you will send a title or two in their direction or, if you can't, please help us spread the word via twitter, facebook and more about the book fair. All the details are behind the cut and if you have any questions, let us know! The remaining members of a royal family are whisked away from their "somewhere" Middle Eastern home by the CIA and relocated to the United States after the King/Dictator/Tyrant/Father/Husband/Brother/Uncle is assassinated. As we read this story and follow Laila's attempts to fit in to her new Western surroundings we find out some of the details of what life was like under her Father's rule back home, and the changes that have taken place since her Uncle has taken over - as Laila finds them out. I love the way that Carleson tells this story through Laila's eyes. 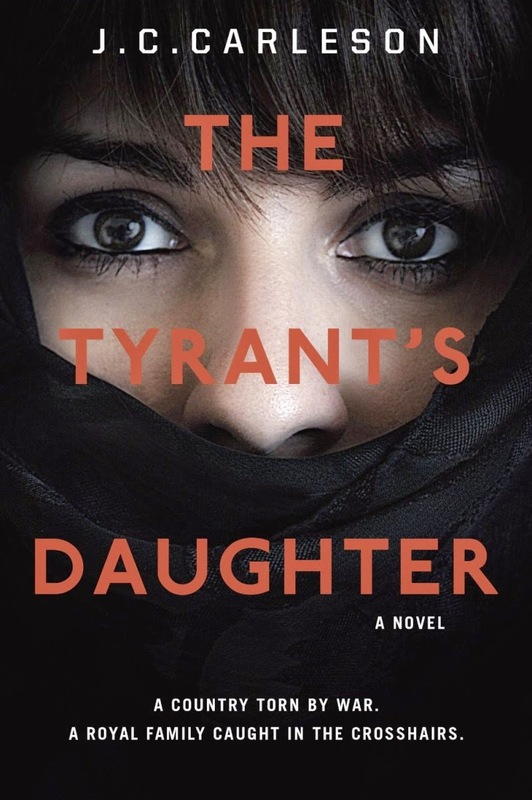 Innocent and unknowing of the atrocities associated with her Father's regime, she seeks out information and learns things about her country and family that are not easy to digest. In the end, we are left asking the question "How much like are parents are we destined to think and act?" 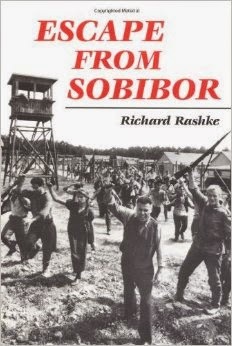 An intriguing story of family, friendship, war and those that wage it in relation to those around them. 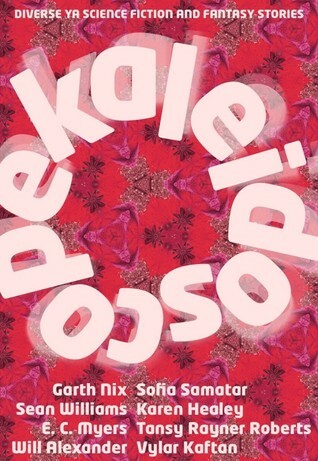 The World of the End by Ofir Touché Gafla is a fan­tasy book trans­lated from Hebrew. This is the author’s first book (עולם הסוף) and he won sev­eral awards. Ben Mendelssohn wants to be reunited with his belated wife, he will do any­thing to be with her again and on his birth­day he puts a bul­let in his head to accom­plish the task. When Ben enters the Other World he dis­cov­ers that find­ing a per­son among the mil­lions who occupy the realm is not an easy task. Search­ing huge cities where every per­son that ever died lived, and gar­dens with fam­ily trees which are taken care of by those that were never born is a huge task for the recently deceased Ben, so he hires a pri­vate inves­ti­ga­tor to help him out. While events in the real world and Other World unfold and are some­how related, Ben dis­cov­ers much about him­self, his wife and the human condition. The World of the End by Ofir Touché Gafla is a cre­ative and well writ­ten book, which is touch­ing, thought­ful and inter­est­ing. 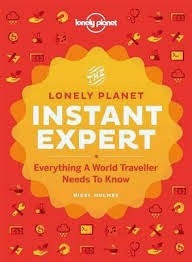 The world, or actu­ally the after world, which the author cre­ates is imag­i­na­tive and thought provoking. This strange book, with a large cast, alter­nates between a strange after­life world and mod­ern Israel (which, we find, is a place where those in the after­life get sent to for pun­ish­ment). The char­ac­ters in the novel have very strange and unique char­ac­ter flaws which make them inter­est­ing and intrigu­ing as well as mov­ing the sto­ries along. 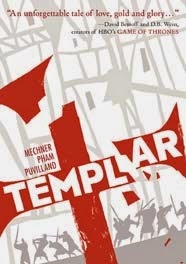 While tragedies hap­pen all around, this is a strangely roman­tic book with a fan­tas­tic end­ing. The pro­tag­o­nist of the book is an “epi­l­o­gist”, a new word for me which means that he writes end­ings, appro­pri­ately enough. 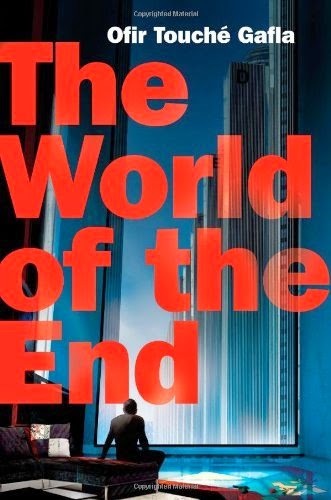 While The World of the End might be cat­e­go­rized under the fan­tasy genre, it does not accu­rately describe the book. 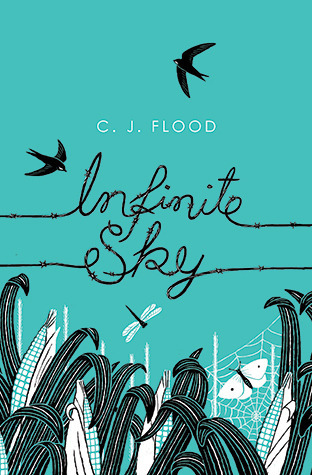 Cer­tainly not for every­one, I enjoyed this book very much espe­cially due to the com­plex and flawed char­ac­ters. The trans­la­tion to Eng­lish is fan­tas­tic and keeps all the dif­fi­cult puns and humor in the original. This is a story of revenge, pure and simple. Gage's wife has been murdered, and the people that have murdered her are going to die, and they are going to die hard. 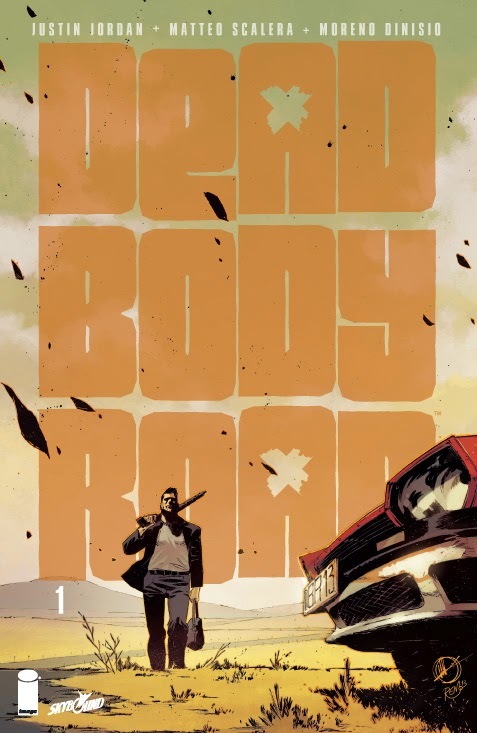 An ex-cop, Gage has a warehouse full of demons that are slowly revealed over six tightly packed issues. Along his vengeful journey Gage teams up with a girl and his ex-partner. To say that they have issues is like saying that Vatican City has "religious leanings." The twist is that we don't know who killed Gage's wife until the very end, which is the way it should be - but man, while we wait to find out, the bodies pile up faster than empty Coors Lights at the Indy 500. If there is anything to learn from Bike Thief it is that you must be careful of the friends you keep and that one bad decision can lead to a snowball effect and serious trouble. Nick and his sister Katie live in foster care and because of past transgressions they are determined to be n their best behavior for fear that they will be split up, something they don't want to see happen at all. When Katie breaks a tv set in the house, afraid of what will happen when his foster parents find out Nick talks to his friend who tells him that he knows how to make easy money. Before long Nick finds himself deeper and deeper in debt and is forced to pull more jobs together with a group of "runts" (younger kids) who don't quite understand what they are getting into. A Big THANK YOU for all the love & books sent to Ballou Sr High School! We here at Guys Lit Wire want to thank everyone who bought a book for Ballou off their wish list at Powells Books. By last count 75 books made their way to Washington DC to be enjoyed by the students at this most deserving school library. Things got a bit quiet around here about the book fair in recent days as your truly was on vacation (in very sunny Florida!! 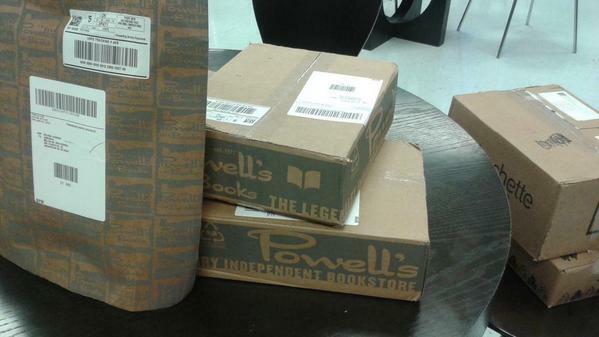 ), but we are delighted that folks kept buying away and so many great books—especially hardcovers—were purchased. You guys rock, as always. You really make a huge difference with your support of this book fair and we couldn't do it without each and every one of you buying and helping us spread the word. NIL is a story of survival and self-discovery. When Charley is mysteriously transported to the unmapped island of Nil she must learn the rules and survive a year of deadly animals, gate-hunting, and new romance. 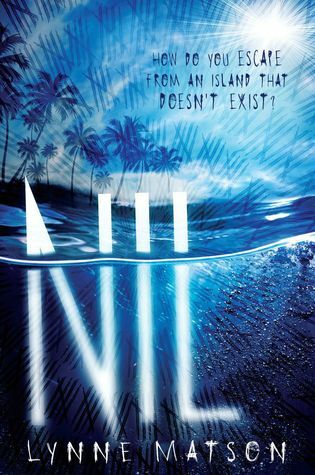 Nil is a beautiful island paradise, haunted by the ghosts of those who have gone before and the howls of whatever dangerous beasts have been dropped in by gates. Charley is taken into Nil City by Thad, the current Leader, and initiated into the tribe of teenagers Searching for their personal gates out of there. Growing up, most of my impressions of what space looked like came from the art on the cover of sci-fi paperbacks. 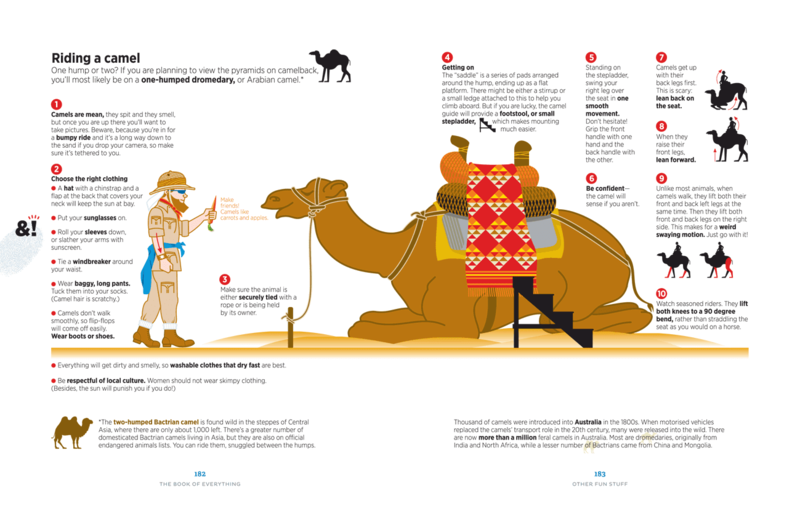 This was the work of illustrators, individuals whose job it was to interpret the concepts presented inside. 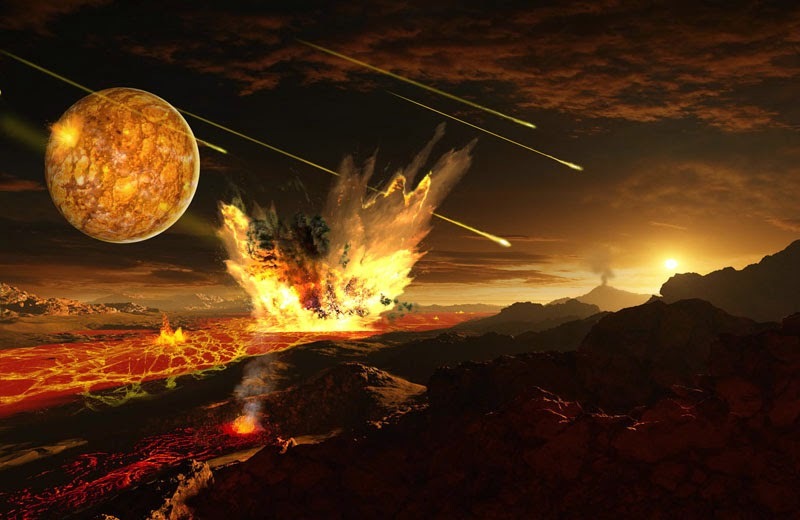 Movies tried to do the same but very few could capture the imagination the way one good interplanetary landscape could; the mystery of multiple suns and moons, space stations the size of continents, and colonies of people living in universes that seemed to defy gravity. This is what The Art of Space is all about. Just the other day I got around to reading Rolling Stone's interview with Stephen King. Two things jumped out at me that seemed worth discussing here on Guys Lit Wire. First, King states that he sees no separation between YA books and books for adults, and that he considers all of his work suitable for teen readers. In his early days as an author, he had more teen readers, and his response to questions about whether he has fewer now struck me. I'm seen as somebody who writes for adults because I'm an older man myself. Some of them find me, and a lot of them don't. But I came along at a fortunate time, in that I was a paperback success before I was a hardcover success. That's because paperbacks were cheap, so a lot of readers that I had were younger people. The book is hot, and the movie is cold; the book ends in fire, and the movie in ice. 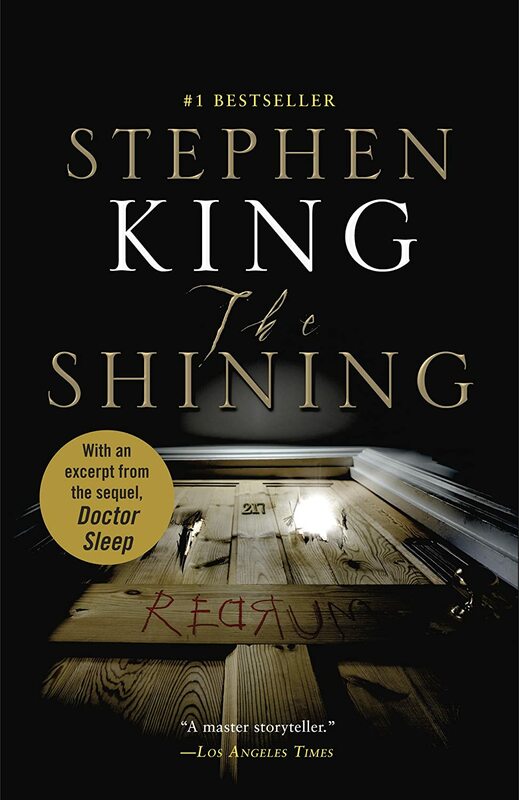 In the book, there's an actual arc where you see this guy, Jack Torrance, trying to be good, and little by little he moves over to this place where he's crazy. And as far as I was concerned, when I saw the movie, Jack was crazy from the first scene. I had to keep my mouth shut at the time. It was a screening, and Nicholson was there. But I'm thinking to myself the minute he's on the screen, "Oh, I know this guy. I've seen him in five motorcycle movies, where Jack Nicholson played the same part." And it's so misogynistic. I mean, Wendy Torrance is just presented as this sort of screaming dishrag. But that's just me, that's the way I am. All this together is why I'm here today to talk about the book, The Shining. One of the more popular electives at my high school is Sociology, and a great deal of that popularity stems from one unit in particular: Serial Killers. But these teens are not alone in their fascination with the subject. From John Wayne Gacy to Jeffrey Dahmer, the lurid crimes and deviant minds of serial killers fascinate our society as a whole, as we seek to understand whether such serial killers are born evil or whether their evil was created by their upbringing. Inherent evil is scary enough, but the thought that American society somehow creates such evil leads us to wonder what might be wrong with all of us. One of the standard stories of American history taught in every single elementary school since time began is the Salem Witch Trials. Right up there with the American Revolution and arrival of the Pilgrims, the trials are a quintessential part of our national identity. Their story is also the first mean girls story ever written. As we all know, in 1692 and 1693 a small group of girls pointed the finger at several of the residents of Salem, Massachusetts and declared them witches. A fever soon gripped the community whereby the girls would claim they were being made ill or manipulated by someone, the person would claim innocence and be subjected to all manner of impossible physical tests to prove that innocence and then the accused was executed and everybody moved on to the next victim. It all stopped when the crazy just got out of hand and way too many people were being accused (including folks of increasingly powerful positions), but by then twenty people were put to death, four others died in prison and many other lives were ruined. And then a couple of years later, the voices of reason felt confident enough to come forward and by 1700 the first of many petitions were being filed demanding that the convictions be reversed. The big question though, is what happened to the accusers and that is where Jakob Crain and Tim Decker's graphic novel, Lies in the Dust, offers some answers. Peter F. Hamilton first explored the Void, an area at the center of the galaxy that defies typical laws of both physics and metaphysics, in his Dreaming Void trilogy. Hamilton's characters return to the Void in his new work, The Abyss Beyond Dreams, bringing with them a fresh perspective and a different range of ideas. Nigel Sheldon, one of the founders of the technologically advanced human Commonwealth, is asked by the even more technologically advanced alien species, the Raiel, to infiltrate the Void to keep it from threatening the entire galaxy. As far as anyone knows, nothing that enters the Void can leave it, though Nigel, equipped with massive enhancements to his human body and a few extra copies of psyche that he can load into computers or androids or clones of himself, hopes to find out otherwise. Nightmare Elf's e-Newsletter reads "NIGHTMARES BE GONE CONTEST." According to the rules, if you write about your worst nightmare (one thousand words or less), you just might win a chance to meet a famous movie director and get a sneak peek at his latest horror film. That's the contest eighteen year old Ivy Jensen entered. She wants to win the awesome prize, not to meet the famous director, but because of the promise associated with the contest - the promise that your terrible nightmare would disappear. Ivy hasn't even seen a Justin Blake movie, but she has a nightmare that plagues her sleep and even haunts her every waking moment. When she learns about the contest, she enters hoping that winning will free her from the horror she experienced back when she was twelve. As far as names go, you have to admit that Peak is an unusual one. On the bright side, he knows his name could be worse. His mountain climbing-obsessed parents could have named him Crampon or something. But Peak Marcello inherited his parents’ obsession, so maybe it’s the perfect name for him, after all. The only problem with this is that Peak lives in New York City, and there aren’t a lot of mountains to climb there. Which is why Peak gets his kicks climbing skyscrapers. From the outside. At the age of 14, Peak has already successfully scaled five skyscrapers. He’s in the middle of climbing his sixth when things go unexpectedly wrong: it’s so cold outside that Peak’s face gets stuck to the outside of the building, witnesses spot him, and Peak is arrested. Davey and his family just arrived on the tiny island off Florida's Key West. After spending their first night in the hotel, Davey wakes up early and decides to explore the island. He grabs his book and heads off to find a quiet place to read. After traipsing through the hotel lobby and checking out the dock, Davey finds a tiny, deserted beach that looks interesting. He notices the faded No Swimming sign, but he puts down his book, slips off his glasses, and wades into the warm ocean water. The gentle waves gradually lure him away from the shore until the water is up to his chest. Before he realizes it, he is being pulled away from the beach by the current. In his book Steal Like an Artist: 10 Things Nobody Told You About Being Creative, Kleon encourages people to be confident when approaching their projects, even when that voice in the back of your head is telling you, "But someone's already done something like this. Someone's already written a story about this, or make a similar sculpture, or created a collage like this..." Because guess what? Even if that is true, even if there is something similar out there, your creation won't be the same as what came before, because it's coming from you, and your viewpoint and abilities will make it unique. So don't be scared to tackle something that you think has "already been done" - because it hasn't, if you haven't done it yet. At the same time, remember to give credit when credit is due. That's mentioned in all of his books: if you're doing something directly based on someone else's work, give that person credit. If you choreographed a dance largely influenced by the life of Martha Graham or inspired by the paintings of Degas, say that. If your research was heavily based on someone or something, cite it. Be grateful for those who paved the way, acknowledge those who helped you, respect others and you'll be respected. Show Your Work! 10 Ways to Share Your Creativity and Get Discovered, Kleon's latest book, offers ideas and ways to share your work with the world. As with Steal Like an Artist, each chapter is motivational, brief, and to-the-point. There are those who feel the need to "network" and those who absolutely hate networking, and any number of folks in-between; Show Your Work focuses talks about using the network to help other people find your work, to share what you've done without feeling like you are self-promoting or self-involved. Kleon's Newspaper Blackout is a collection of poetry he made by taking a permanent marker to newspaper articles and turning them into something new. My favorite piece in his collection is Underdog, as seen here; I am also fond of Enigma, created by Erica Westcott. You might be wondering why I'm posting this at a blog targeted to teen readers. It's simple: creativity exists in everyone, in people of all ages. Some creative people are very outgoing and outspoken (hello, that's me!) but others aren't as confident in their abilities, especially when they are younger and/or are trying an artistic pursuit for the first time. Some people need a little nudge to write down the story that's been in the back of their mind for years, just as others need a little nudge to try out for the sports team or the school play. So what are you waiting for? If you've always wanted to play the tuba, go to the local music store and get a recommendation for a good music teacher in your area. Or, to be more specific to the aforementioned books and methods, if you want to be a poet or a songwriter or a hand-lettering artist or a greeting card designer and don't know where to start, look at the things YOU like, and create something inspired by your favorite poems and songs and illustrations. Start with what moves you, and go from there. In time, you'll find your voice, and make something wholly original that will, in turn, inspire someone else. Creativity is a cycle. Pay it forward! It's pretty hard to let this book fair end with these amazing sale priced books still on the list. If you've been thinking about buying but weren't sure which title to select, how about giving one of these a look? All details on the book fair for Ballou SR High School, including how to order a book, can be found on this earlier post. 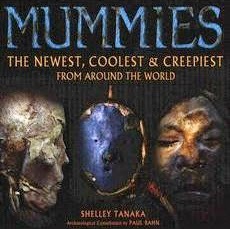 I picked up Shelley Tanaka's Mummies: The Newest, Coolest & Creepiest from Around the World because it was featured on a "spooky book" shelf and because it looked like a fun, quick read. I wasn't expecting to get completely wrapped up (ha ha) in it, much less to be murmuring "Wow!" every time I turned a page. Over the past few years, as I've worked on the wish list for the annual Ballou High School library book fair, I've spent a lot of time thinking about diversity in teen books. In some ways, the process has been like grieving; first there was denial, ("where are all the mysteries and romance and thrillers with African American protagonists? "), then anger, ("I can not believe how hard it is to find books for teenagers with African American kids on the covers!! "), then bargaining, ("what do I have to do to find these dang books?! "), then depression, ("this so unfair and I can't stand it"), and then acceptance ("this is the world we're living in and I just have to work with it"). The book list does have a lot of diverse books on it because I spend all year watching for every single title that comes up in Booklist or the catalogs or on twitter or the blogs I follow that includes mention of "strong diverse characters". It never ends, finding these books. I can never stop looking for them or watching for them. Right now I have about a dozen books in a list that are from the spring 2015 catalogs that won't go on the wish list until next year. 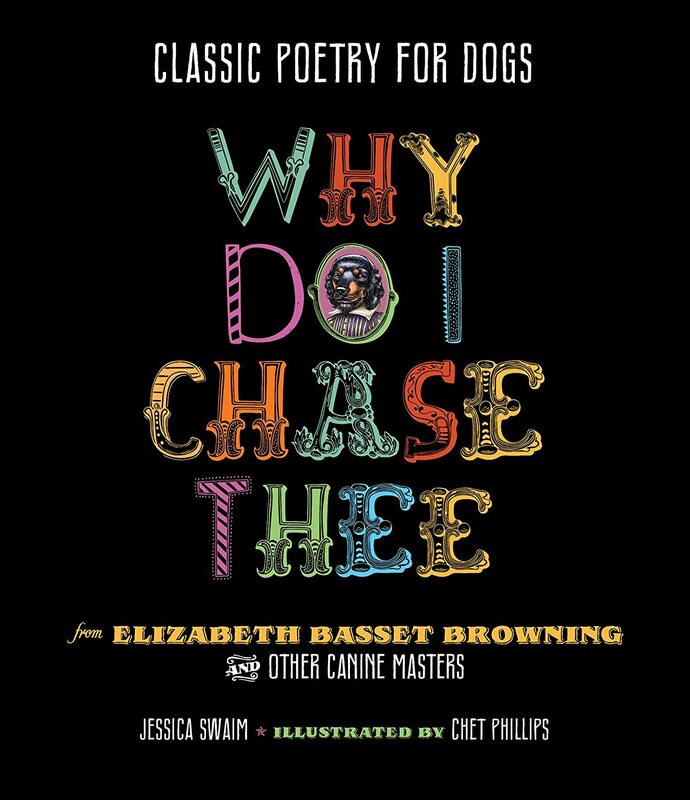 I also pull from the ALA Quick Picks list and from the Printz and other awards lists and Ballou's super librarian, Melissa Jackson, always has some books they are looking for that go on the list but mostly, I am on the hunt all the time. I look for adult crossover titles, especially biographies, that will be of interest to high school students at Ballou and any history or science titles that might include have particular interest to African American teens. There are also general nonfiction titles like cookbooks and wildlife and science (plastic in the ocean! extinction! genealogy! nail art) but give me a novel about a couple of African American teenagers who solve crime or fall in love or, yes, battle vampires, and I AM ALL OVER IT. Because I want the students at Ballou to read the same kind of fun books I read as a teenager. I want them to see themselves in the books they read; I want them to find themselves in the books they read. I want them to see lives that could be theirs or look like theirs. I don't want them to feel like they are in the outside looking in when they are reading and I think that happens when all the characters are blonde haired and blue-eyed and rich and you are none of those things. So I look all year long and I add to the list all year long and I hope for the best all year long. Certainly some of the books on the list have mostly (and maybe all) Caucasian characters because they are still good, fun, popular books that I know all teen readers want and will enjoy. But they can't be all the books on the list; they can't be everything. More importantly, they should never be everything. Take a look at the wish list for Ballou and tell us what you think. If you know of some books that should be on the list next time, let us know. And yeah, if you want to help out a worthy school then please buy a book or two and send them along to Washington DC, where I promise they will be very much appreciated. I know that this book has been discussed in the past here on this blog, but I just couldn't pass it up! 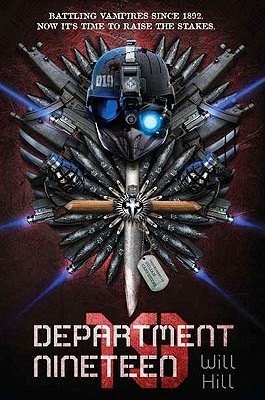 Dracula, Van Helsing, and Frankenstein - plus some really cool high-tech and futuristic firepower to boot! I plowed through this book in no time as more and more of Jamie Carpenter's story and his family history were revealed. Hill jumped in time filling in the history of the Carpenter family, the origins of Department 19, Frankenstein and Jamie's father, Dracula and the first vampires which all provided the backdrop to the current story of Jamie and his attempt to save his mother from one of the oldest vampires in the world. Pages filled with non-stop action, thrills, gore and horror! A must read for any action/horror fan. 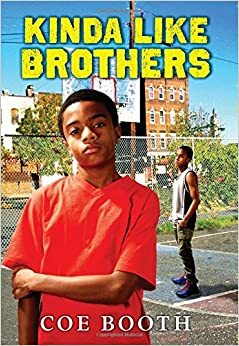 I rarely see juvenile fiction books with young African-American males on the cover so needless to say I was intrigued by this title. The main character Jarrett is a rising seventh grader from Newark, New Jersey who lives with his mom, a Guyanese immigrant. His mom is a foster mom who works with social services to take n kids for varying lengths of time. This is how Kevon and his little sister Treasure come into their lives. Kevon's father went missing and so the two are placed with Jarrett's family for the time being. We are often asked why we have chosen to stay with Ballou Senior High School for our annual book fair. Prior to Ballou, Guys Lit Wire worked with a group serving juvenile offenders in Los Angeles and two schools on reservations in Arizona and New Mexico. While we certainly were happy to help those folks and felt that our book fairs did a lot of good and were appreciated, when we first teamed up with Ballou we quickly realized we had found a special situation. Melissa Jackson, the Library Media Specialist, loves her job and her enthusiasm is quite infectious. A look at the library's facebook page shows the many events she plans there from poetry slams to club meetings to author readings and tons of visiting speakers. Melissa works tirelessly to get students excited about reading and has been key to the past success of the book fairs. She cares so much about the kids at Ballou and has shown us just how much one dedicated librarian can accomplish for a whole school. Melissa is a powerhouse whose dedication can not be denied. We are thus delighted to work with her, and help her, through the current book fair. If you want to know how the world can be changed, then Melissa is a shining example of what a force for good looks like. Guys Lit Wire organizes these book fairs each year through her direct coordination and support; Melissa is the one who gets all these books you purchase off the list into the hands of teenagers eager to read them. Please know how much you making her job easier with every title you send to Washington DC and every effort you make to spread the word. 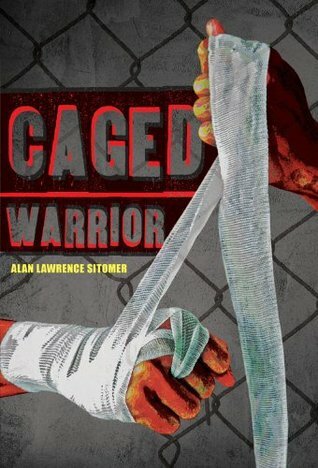 CAGED WARRIOR takes the reader to places they had no idea they could even go between the pages of a book. The poorest parts of Detroit, on of the poorest and most dangerous cities in the U.S., is where McCutcheon "M.D." Daniels calls home. League of Seven, one of the most fun books I've read recently, is chock full of all kinds of cool stuff that I get excited about: Lovecraftian monsters, steampunk, alternate history, mythology, secret societies, ninja robots, and giant city-crushing beasts. Honestly, this book is chock-full of the good stuff! And that's no coincidence-- when Alan Gratz talks about the book, he flat out admits it. 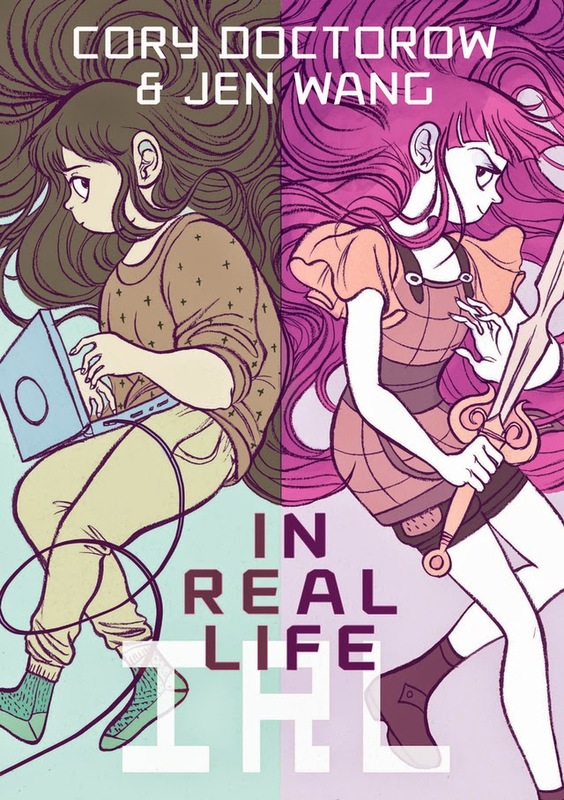 "When I set out to write this book, I thought about all the things I thought were cool: monsters, robots, ninjas. 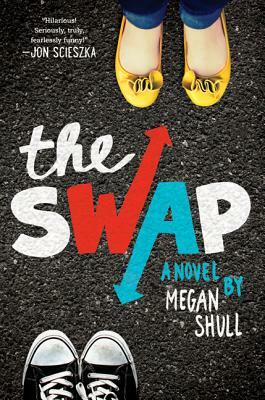 And I decided I would just stick them all in one book and have as much fun writing as much awesome stuff as possible." 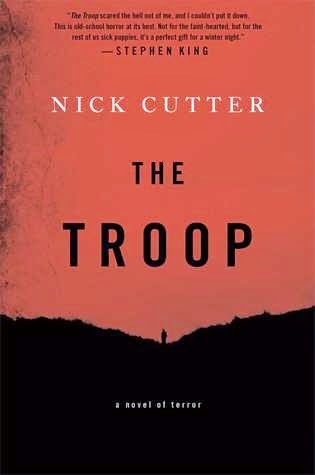 The Boy Scout motto is "Be Prepared," but trust me, a team of Samurai-Ninja-Swat Team-Green Berets couldn't be prepared for the horror that is unleashed in Nick Cutter's pedal-to-the-metal shock fest that is The Troop. The story takes place on Prince Edward Island, an idyllic province on the east coast of Canada. I've been to Prince Edward Island, I grew up on the province next to it. It's a nice place and I have to say that I'm very glad I didn't read The Troop while I was living anywhere near there because I'd probably never go outside again. The Troop hits the ground running and simply doesn't stop. On the first page we are introduced to a news story about an emaciated man who wanders into a diner and begs to be given as much food as possible. He then goes on to eat everything they've got on the menu. When he is finished he walks outside without paying, steals a truck and disappears into the night. The papers dub him "The Hungry Man," but nobody seems to know who he is or where he came from. Russell Simmons? you ask. 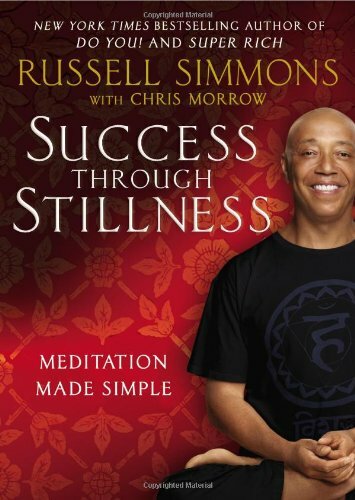 The moving and shaking founder of Def Jam Records, wrote a book called Success Through Stillness? Yes. Yes, he did. And get this: it's about meditation, and about how devoting twenty minutes to meditation twice a day, each day, will make you more successful at anything you turn your mind to. Simmons tells stories of how he found his way to meditation, as well as how it benefits other major players he knows, from basketball greats to Oprah and Jay Z. He also talks about how much he enjoys yoga, although that's not a prerequisite to meditating. The book begins by declaring that meditation is the path to true happiness. The answer is very simple: to be happy. Which is the only reason you're here. but I believe it with every fiber in my body. Soon after discussing his own start meditating, Simmons launches into five different chapters designed to shoot holes in any excuses you might have not to do it, including the most common ones like "I Don't Have Time" and "I'm No Good at It", along with some more complicated, in some cases theological, reasons. From there, he moves onto explaining the positive physical reasons you should meditate, which includes improving your brain's health and potential, followed by the very real benefits people find in their lives once they start meditating. When Anda, a teenage gamer, gets invited to play Coursegold, a massively-multiplayer online role playing game she discovers a place where she can be many things she isn't in real life: a hero, a fighter, a leader, a part of a unified team. Along the way she learns about gold farmers who mine valuable objects within the game to later be sold to players. At first this seems unfair to Anda who recognizes that it gives players with money a chance to buy themselves into a game where others are trying to earn their place, which makes killing off these characters easy. Then she learns the darker truth behind these gold farmers. Raymond, a gold farmer Anda befriends, turns out to be a teen in China who is hired as a miner. The money he earns for his employer is needed but the exhaustion from long hours is making him sick. Without a union or health care Anda tried to persuade him to get other gamers to collectively bargain but then Raymond's avatar disappears from the game, and Anda's parents cut her off from gaming and she worries about what has happened. 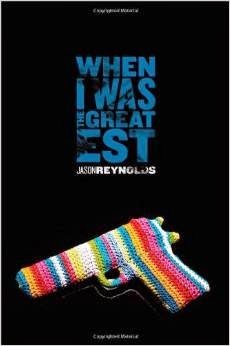 For many of my predominantly white and predominantly rural students in Iowa, the Brooklyn of Jason Reynold’s When I Was The Greatest might as well be a different planet. And sadly, more of my students have probably read books set on other planets than have read books set in neighborhoods like the Bed-Stuy of narrator Ali and his family. All kinds of kids need all kinds of stories. Stories where they can see themselves, yes, but also stories where they can see our country and our world in all its diversity while understanding the common humanity that binds us. We need books that are both mirrors and windows. This summer, the “We Need Diverse Books” campaign exploded on social media in response to the growing awareness of the LACK of diversity in the publishing world in general and the children and young adult markets in particular. 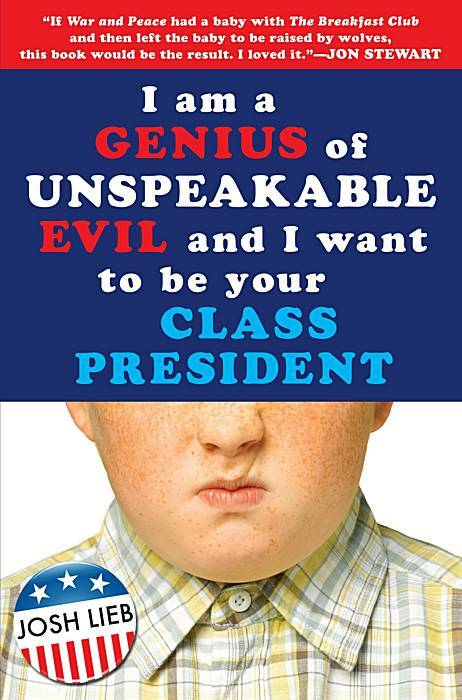 One of the books I learned about through this campaign is When I Was The Greatest, and I urge all who serve teens, whether in the classroom or in a library, to add this book to your collection. Teenage Ali and his sister Jazz live in Brooklyn with their mother Doris. Though their father John does not live with the family, and has not for some time, he still has a role to play in their lives, a role that grows as the story progresses. Ali long ago made friends with the neighborhood's new kid, dubbed “Noodles” by little sister Jazz, who is also responsible for creating the nickname “Ali” for her brother Allen. Noodles has his own sibling, a brother nicknamed “Needles” by Jazz for the knitting he does. Yes, knitting. Needles has Tourette’s syndrome, and Doris taught him to knit as a way to ease the physical tics that accompany it. Noodles reads and draws comics, showing a softer side that few other than Ali witness. To most, especially Needles, Noodles flashes a temper, a tongue, and the ‘tough” face he feels his neighborhood demands. Ali remains loyal to his long-time friend, despite his doubts about Noodles’ treatment of his brother and Noodles’ actions toward others. This loyalty faces its ultimate test when Needles is put in physical danger. When I Was The Greatest, nominated for this year’s Cybils Award in the Young Adult Fiction category, exudes a sense of place, the rhythms of daily life in Bed-Stuy, the sounds of the city. The title is a reference to Muhammad Ali, fitting as young Ali in the book is learning to box and both Alis refuse to let the rest of the world box them into any stereotype of African-American existence. 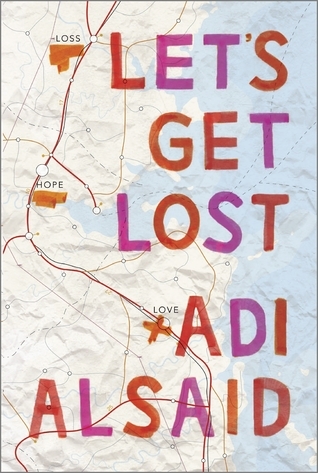 But like all good stories, Reynold’s novel also resonates in broader themes: The importance of family, what we sacrifice for friends, and how we decide who we want to be. These themes are as real in rural Iowa as they are in Brooklyn, even for some of my students who equate darker skin and “strange” names with being foreign. Not “foreign” as in unknown, but “foreign” as in not American. We need diverse books because students need to know that their America is not all of America (and America is not all of the world), and you need to read When I Was The Greatest because it, too, sings America, and sings it ever so well. The annual Book Fair for Ballou returns on Monday! Unfortunately, as wonderful as the new library & media center is, as it turns out, there will be no increase in the budget for books. So now there is all this gorgeous space but far too few titles to fill it up with. Along with Melissa Jackson, the tireless Ballou librarian, and her faithful book clubbers, we have built a list at Powells Books that will be open for business on Monday. I'll have all the ordering information posted here, so you can select a title or two (or more!) and send them on their way direct to Ballou. If you can't buy books, we would very much appreciate any efforts you make to help spread the word on what we're doing. There are fewer things we can do in this world that matter as much as sharing the written word. Guys Lit Wire continues to assist Ballou Sr High School because we think this library is home to a lot of great kids who deserve access to a lot more books then they currently have. Catch you back here Monday with all the details! Eric Kaplan, one of the writers for television show The Big Bang Theory, has planned a playdate between his son, Ari, and his son's classmate, Schuyler. At the last second, Schuyler's mother cancels. The issue? It is near Christmas and Ari doesn't believe in Santa Claus while Schuyler does. Schuyler's mother, Tammi, does not want her son's belief in Santa Claus threatened by Ari's non-belief, so the playdate is off. This gets Kaplan thinking. What does it mean to "believe" in Santa Claus? Does Tammi believe in Santa Claus? If she doesn't then is she just lying to her son? Does she both believe and not believe? Is that possible? If someone believes in something that obviously doesn't exist, wouldn't that make them, well, insane? What does it mean to exist anyway? Is there some sense in which Santa Clause really does exist? Kaplan realizes he doesn't really know, and sets about trying to figure it out. The result is Does Santa Exist: A Philosophical Investigation. This is a nice holiday book. It makes references to a lot of your favorite Christmas stories. It has--spoiler alert--a feel good ending. It's also very funny, though not quiet as funny as the movie Elf, the funniest Christmas tale of all time. That said, it is probably unlike any other holiday book you'll ever read.